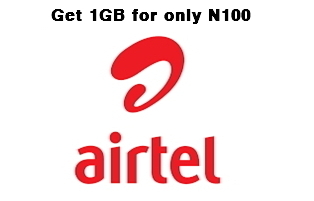 Check - Latest Airtel 1GB Data For N100, Will You Use This? Yeah, I have to acknowledge that it has been quite a long time that airtel has given you something to be happy about, if not only data zap zap zap that you know about airtel. At least Xmas is fast approaching and this is the period to start expecting lots of goodies and surprises from all angles. Actually this is not a tweak in any way but a newly introduced time based weekend data plan by airtel that gives you 1GB for just N100, and guess what? It is meant to last for 7 days (usable only Saturday and Sunday) and not just only 2 days as you might have expected since it was called a weekend bundle. Any yes it will work on all your device, whether PC, Apple, Android, Windows phones etc. I don’t want to talk much on this, if you are ready to rock this data bundle plan, then you have to start locating that your airtel SIM.